Arabdemocracy: Vote for Obama or … Welcome World War IV? The US presidential campaign is heating up, and Sarah Palin is the latest Republican weapon deployed after the stunning success of the Democratic Convention in Denver. 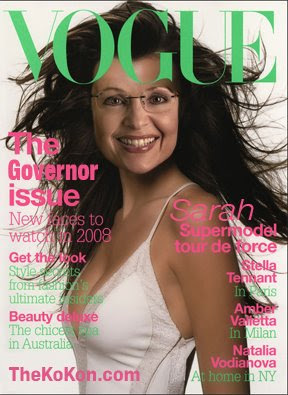 The Palin choice might backfire early against the Republican’s campaign, with personal and professional stories about Alaska’s governor (qualifying her as a bad choice already) invading the press in America and abroad. However, very strong ideas are making their way to the American political discourse. Frightening principles and words are being used, and “World War IV” is one of them. World War IV entered this campaign when Dr. Zbigniew Brzezinski, President Jimmy Carter’s National Security Advisor told Seth Colter Walls from the Huffington Post nearly two months ago: “If McCain is president and if his Secretary of State is Joe Lieberman and his Secretary of Defense is Rudolph Giuliani, we will be moving towards the World War IV” (the Cold War counted as World War III). The more powerful is a Nation, the more its internal affairs become of interest for the International Community. How many non Americans wish they can vote in the US elections to see the candidate that will “help” or “do less harm” to their country securing his way to the White House? But unfortunately, all those interested in the US elections can’t make their voice heard via powerful lobbies as AIPAC who imposed itself as a pressure group able to guarantee that the elected president considers Israel’s National Interest as integrated to and inseparable from the US National Interest. The interaction between internal and international issues becomes crucial when a country holds a position of superpower. Since the end of the cold war in 1991, the US has been considered as the only remaining superpower after the collapse of the Soviet Union. November 2008 is a historical moment for the United States of America. And the Russia – Georgia crisis over Ossetia throws doubt over the US remaining in the position it held since 1991. It is a test of realism for the American Empire. Will it assume the responsibility of its power by voting for a President able to recollect the pieces internally and adopt a less arrogant tone abroad? Or will it vote for a World War IV perspective that will prove that “Each empire holds in its heart the germs of its self destruction”? There's definitely a lot of value to what messieurs Carter and Brzezinski have to offer, however I will venture to say 'tis the season to be a drama queen. Much like Republicans have been hammering the American public with pro-life and pro-sanctity of marriage rhetoric and the notion that Mr Obama is pro-big government and weak on national security, Democrats have been beefing up the minority(women, blacks, Jews, Muslims, gays, etc.) and draft/war cards. It’s all about energizing the base and bringing the independent voters on board. I understand AIPAC's impact on US Middle Eastern foreign politics; However, AIPAC's influence can go so far and the lobby has become an easy target for those opposing current Israeli and American policies in the area. The truth of the matter is whoever wins the presidency; the United States is not likely to leave either Iraq or Afghanistan anytime soon. Furthermore, no matter Mr. McCain's tough maverick talk, America has moved from almighty superpower to key player in world affairs. How else can you explain Russia's blunt move on Georgia (eight years ago I would have never imagined Russia to be able to regain this much power) and Israel's quest for stronger relations with India and China, America's biggest competition. In fact, according to Israeli analysts, the Jewish State has already begun to plan for the prospect of a weaker America and is building regional and global alliances wherever possible.